Each day that passes I start seeing more signs that old man winter is packing his bags and leaving. I know we still have a few cool days ahead of us, but there is hope. 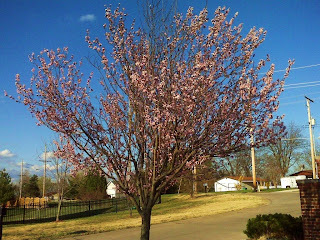 The trees are budding leading into my subdivision. This is the picture of the day.